Wearable sensor technologies play a significant role in realizing personalized medicine through continuously monitoring an individual’s health state. To this end, human sweat is an excellent candidate for non-invasive monitoring as it contains physiologically rich information. Previously reported sweat-based biosensors either can only monitor a single analyte at a time or lack on-site signal processing and calibration mechanisms for accurate analysis of the physiological state. A mechanically flexible and fully-integrated perspiration analysis system is presented that simultaneously and selectively measures sweat metabolites and electrolytes electrochemically. This wearable system is used to measure the detailed sweat profile of human subjects engaged in prolonged indoor and outdoor physical activities, and infer real-time assessment of the physiological state of the subjects. The platform enables a wide range of personalized diagnostic and physiological monitoring applications. To demonstrate the clinical value of our platform, human subject studies were performed in the context of the cystic fibrosis diagnosis and preliminary investigation of the blood/sweat glucose correlation. With our platform, we detected the elevated sweat electrolyte content of cystic fibrosis patients compared with that of healthy subjects. Furthermore, our results indicate that oral glucose consumption in the fasting state is followed by increased glucose levels in both sweat and blood. Gao et al. ACS Nano 2015 link; Gao et al. J. Am. Chem. Soc, 2012 link; Gao et al. ACS Nano 2012; Gao et al. Small 2013; Gao et al. Nanoscale 2013 link. The introduction of the first water driven micromotors and the first in vivo study using synthetic nanomachines. See YouTube Video from ACS. Highlighted in Chemical Engineering News, Discovery News, BBC News, Dail Mail, Fox News, Yahoo News, Popular Science, Scientific American, New Scientist, American Scientist, The Scientist, Chemistry World, IEEE Spectrum, Gizmodo, Science Daily, The Economist, Huffington Post etc. 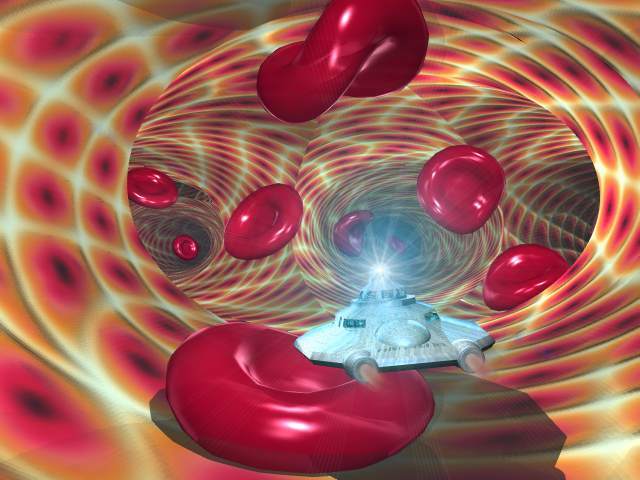 The propulsion of synthetic micro/nanomachines represents a great challenge and opportunity. Unfortunately, the requirement of the toxic chemical fuels (such as H2O2) greatly impedes the practical biomedical applications of such chemically-propelled micro/nanoscale motors. We describe here the use of different biofluids such as water or gastric acid as fuels to propel the new generations of micromachine. 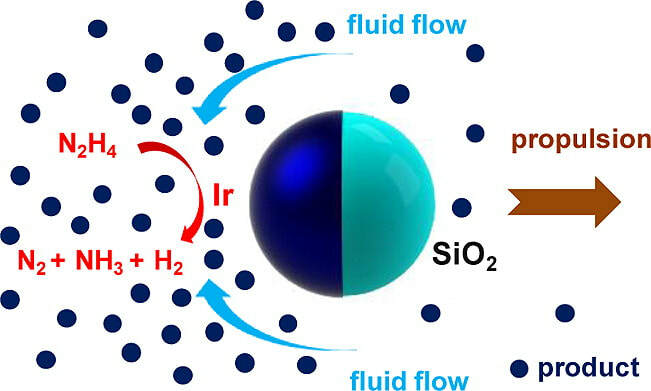 For example, the water driven micromotors, which utilize macrogalvanic corrosion and chloride pitting corrosion processes, can be fabricated by using biodegradable magnesium microparticles and a gold patch. Integrated functional self-propelled zinc micromotors are created by coupling electrodeposition with hard dual-templating synthesis. The fully-loaded micromotors concurrently possess four robust functions including a remarkably high loading capacity, combinatorial delivery of cargoes, autonomous release of encapsulated payloads, and self-destruction. This concept could be expanded to simultaneous encapsulation of various payloads for different functionalities such as therapy, diagnostics, and imaging. Based on the zinc micromotors, we report the first in vivo study of artificial micromotors in a living organism using a mouse model. Such in vivo evaluation examines the distribution, retention, cargo delivery and acute toxicity profile of synthetic motors in mouse stomach via oral administration. These works are anticipated to open the door to in vivo evaluation and clinical applications of these synthetic motors. Gao et al. J. Am. Chem. Soc. 2011 link; Nano Lett. 2012 link; ACS Nano 2012 link; Gao et al. Nanoscale 2012 link; J. Am. Chem. Soc. 2013; ACS Nano 2013; Nanoscale 2013. The development of the fastest micromotors in the world and pioneering works on their biomedical and environmental applications. Highlighted in Chemical Engineering News, Discovery News, BBC News, Materials Views, Wired, The Engineer, New Scientist, Nanowerk, , Gizmodo, Science Daily, Popular Science, Nanowerk etc. The polymer-based catalytic tubular microrocket is synthesized using a template based electrodeposition method. 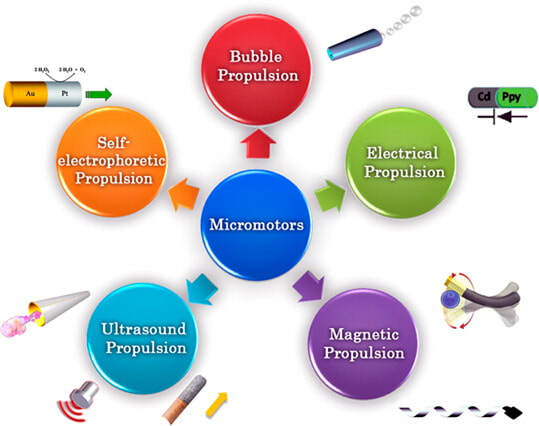 The oxygen bubble propelled microrocket harvests the energy from chemical fuels (e.g. H2O2) and displays a record-breaking speed of 1400 body lengths/s. It can serve as an ideal platform for diverse biomedical and environmental applications. For example, antibody modified microrockets can isolate circulating tumor cells (CTCs) from biological media, and lectin modified polyaniline based microrockets can be used for selective bacteria (E. Coli) isolation from food, clinical and environmental samples. Gao et al. Nano Letters, 2014 link; Gao et al. J. Am. Chem. Soc, 2010 link; Soft Matter, 2011; Gao et al. Small 2012 link; Nanoscale, 2013; Nanoscale 2014. ​Highlighted in Science, Chemistry World, Chemistry Views, Gizmodo, Gizmag, ScienceDaily, R&D Magazine etc. Magnetically-controlled motion, inspired by the motility of natural microorganisms, represents an attractive route for addressing the challenge of efficient nanoscale locomotion. 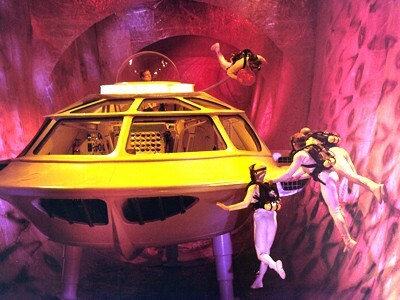 Under an alternating magnetic field, the magnetic nanoswimmers can display a high propulsion velocity in real biological environment which is comparable to natural microorganisms. 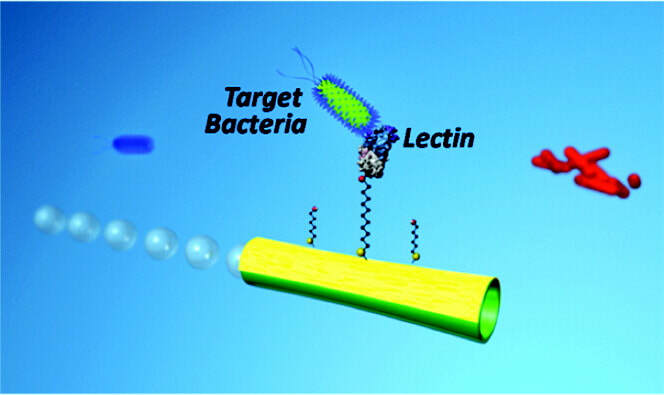 The magnetically driven nanopropellers provide an attractive approach for the targeted drug delivery: they can transport the PLGA drug carriers through a microchannel to the HeLa cancer cells in biological media for cancer therapy. 5. Nanomotor Lithography (Nanofabrication): Nature Commun. 2014 link; Nanoscale 2013. ACS Nano 2013; J. Am. Chem. Soc. 2014; ACS Nano 2014; Small 2011.